I only have Roy the anonymous craigslist poster who had a stream-front piece of property that lured me to the banks of Muddy Creek in Peach Bottom Township, PA to thank. Upon arrival I sent a one word text to home: Trouble. I could spend time leading the reader into an intriguing story of mystery about the properties I went to visit but let’s just be frank: it was a bust. But in a surprise twist, Zillow led Mary and I to a one-room log cabin perched on a deep green cliff overlooking the stream. 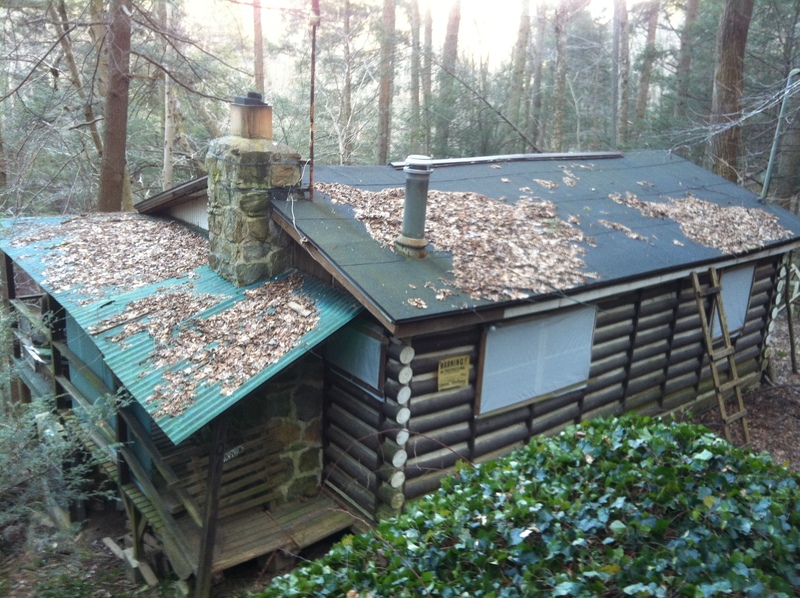 In an instant, I took the first step towards realizing my dream of owning a cabin. 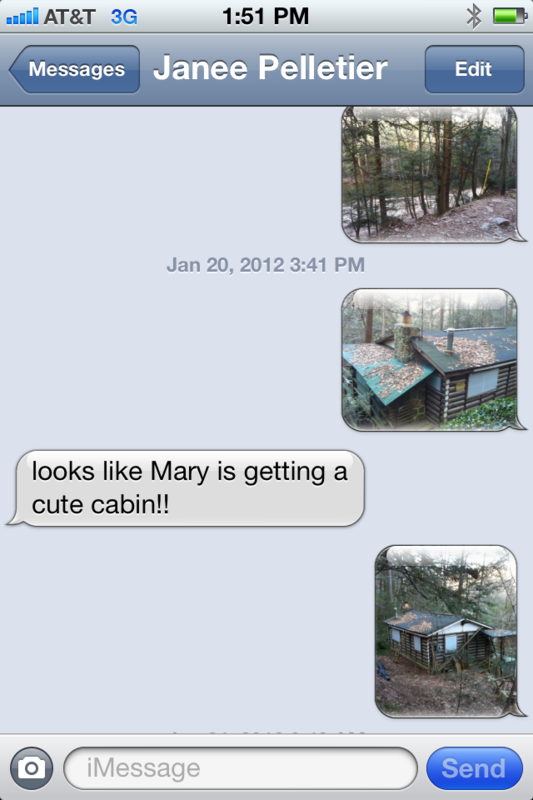 Text message home: Janeé's response to the photos Mary & I texted to her after finding the cabin. I’d finally found Janeé that piece of water she’d been waiting for.